McCourt & Maguire is one of the newest law firms in the Mid Ulster Area based in Dungannon, County Tyrone. However, we have a wealth of experience and a strong reputation in Commercial, Civil and Criminal Law. We provide high quality legal services in all areas of the law. We are professional, approachable and we get results. We offer all clients a free initial consultation with no obligations and will advise you on whether you have a case and what legal issues you should be aware of including whether you are entitled to legal aid. We offer an extensive range of services for our clients. Please contacts us for any legal matter. A house is probably the most expensive purchase that you are going to make and you need expert advice to ensure that the property you are buying to live and invest in is legally in order. 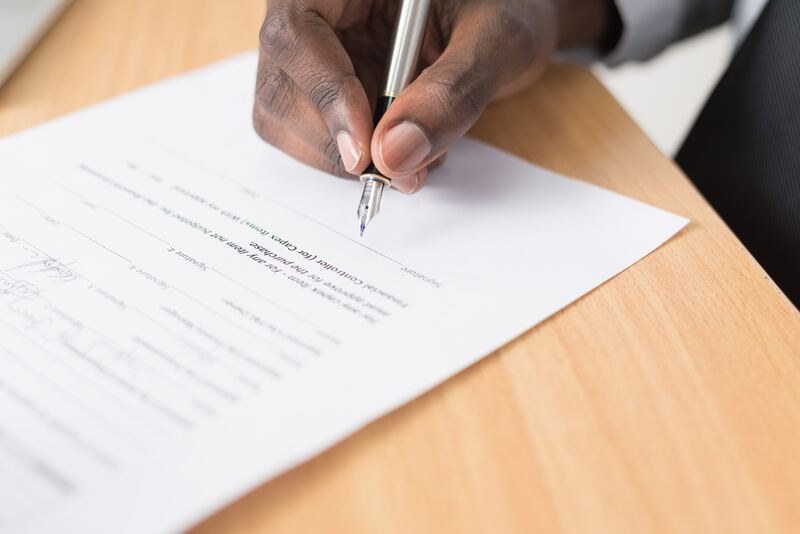 The role of a solicitor in the conveyance process is to provide expert advice and assist with any legal issues that may arise in the purchase. We have a long established experience of matrimonial and family law matters, including all aspects of divorce, separation, child contact and other sensitive family issues. We provide only the highest standard in legal advice no matter what your circumstances. We provide a range of services from attending at police stations, appearing at Magistrates Courts, Crown Courts and providing advice in any criminal matter. It is never a comfortable experience planning what will happen in the event of your passing, but our dedicated team will guide you through the process and make it as effortless as possible. We will take a detailed account of everything you own that could be left to others, and help you identify beneficiaries and the best way in which you can provide for them after you have gone. We can also help you decide what to do with any surplus capital, whether it be used as a gift, or donated to a charity of your choice to ensure your legacy lives. We offer face to face consultations to advise you on your immigration enquiries. Based in the Dungannon and Mid Ulster area, we have extensive experience dealing with issues pertaining to rights affected by ever increasingly complexed immigration laws. We have experience in all tiers of the Immigrations tribunals. Please call for further advices tailored to your particular circumstances and needs. We have been involved in a number of high profile cases relating to access to a solicitor, We have cases that have been before the highest courts, in protection of Human Rights, quite often for the most defenceless and vulnerable in our society against the misuse of powers by the state, and its various agencies. Very good at his work he gets to the point. Very reliable and good at his work. A very professional and efficient service provided. I would highly recommend Ronan and his team. Took care of a situation for me. Got it sorted out quick and hassle free took all the stress out of it for me. Highly recommend this firm to everyone.